Dermot O’Leary and Scarlett Moffatt will be among the presenters for the BBC’s royal wedding coverage, the corporation has announced. Prince Harry will marry Meghan Markle in Windsor on 19 May. O’Leary will lead BBC One television coverage for the ceremony, alongside Kirsty Young and Huw Edwards. Tina Daheley, Alex Jones, Ore Oduba and Anita Rani will be gathering reaction around Windsor, while Moffatt will act as royal correspondent for Radio 1. The BBC said it hoped to “bring the nation together” through its coverage. A preview show, The Royal Wedding: They’re Getting Married In The Morning – fronted by O’Leary, Young and Edwards, will be broadcast on Friday, the night before the ceremony. Are you the ultimate Royal Wedding fan? For the big day itself, Young and O’Leary will be based by the moat outside Windsor Castle, while Edwards will be on the roof of the Guard Room within the castle walls. The newsreader said he was “thrilled to be part of the presenting team for the royal wedding celebrations”. “It’s always great to get out from behind the news desk,” he added. 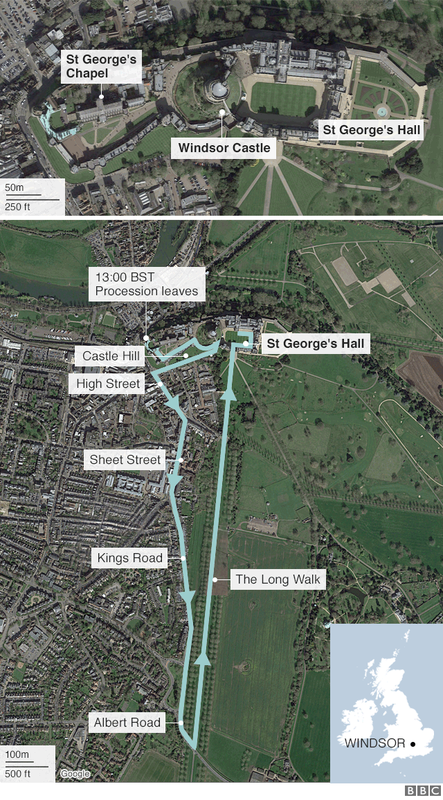 Ms Markle and the prince will marry at St George’s Chapel, Windsor Castle at midday, before travelling through the Berkshire town in a carriage at 13:00 GMT. One Show host Alex Jones and Strictly Come Dancing winner Oduba will join Radio 1 newsreader Daheley and Countryfile host Rani around Windsor “to capture the stories, excitement and reactions of the day”. More than 1,000 members of the public, including charity workers and school children, have been invited to the grounds of Windsor Castle for the wedding. A statement from Kensington Palace said Ms Markle and Prince Harry wanted “members of the public to feel part of the celebrations too”. Live coverage of the wedding ceremony will be broadcast on big screens around the UK, including in Belfast, Salisbury, Leeds, Swansea, Winchester and Portsmouth. Radio 1’s coverage will be led by Moffatt, a former Gogglebox star. Announcing her involvement on Twitter, the 27-year-old said she was “proud” to be involved in the royal couple’s big day. “To say I was excited would be an understatement,” she said. 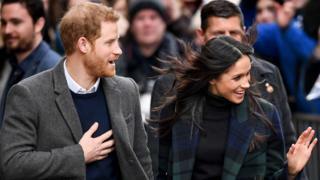 Young, known for her role as host of Radio 4’s Desert Island Discs, said the royal couple have “captured the goodwill of the world”, with their “very personal, modern day love story”. On Monday, the BBC announced it would waive the TV licence fee for communities wanting to watch the wedding. It means street parties and other special events can screen the wedding live without buying a licence.